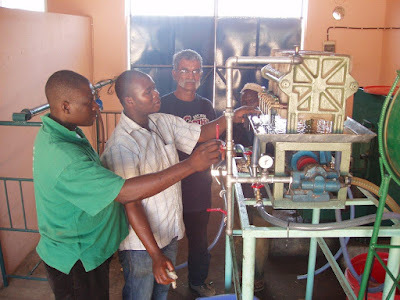 A one week training course on technologies for Jatropha oil processing and applications was developed and held for the first time in 2010 from 18 to 23 October. to increase capacity of persons working in Jatropha projects with small farmers in SADC countries. Participants will profit from the experiences of the FACT-ADPP pilot project. To increase the capacity of technicians to press and purify jatropha oil and to modify diesel engines, both stationair engines and car engines. Two external experts, Niels Ansoe from Dajolka Denmark and Krishna Raghavan from ARRAKIS will train the participants.